With the unexpected and sudden passing of The Elite Maximus in the Fall of 2016, there are very few ways to obtain his stellar genetics...His breeding to Alivia was one of the last. The Elite Maxine may be his last female offspring. 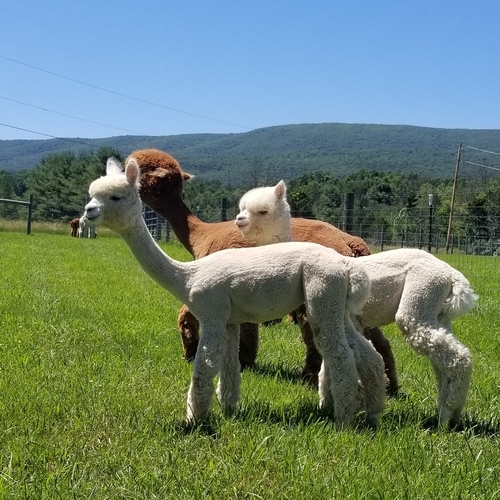 SA Peruvian Alivia has given us three beautiful girls thus far...Alivia is a prime example of a breeding dam that has retained a high quality uniform fleece well into her mature years. With her uniformity and Vicuna coloring, she is a rare gem that is a fantastic addition to our foundation herd. Her crias are absolutely beautiful---each maintaining extremely fine crimp structure, incredible fineness, and excellent staple length. They would be good candidates for Produce of Dam. Ask for Price Lasting fineness! Cannot wait to breed this girl to GANYMEDE! She has all the genetics for lasting fineness. 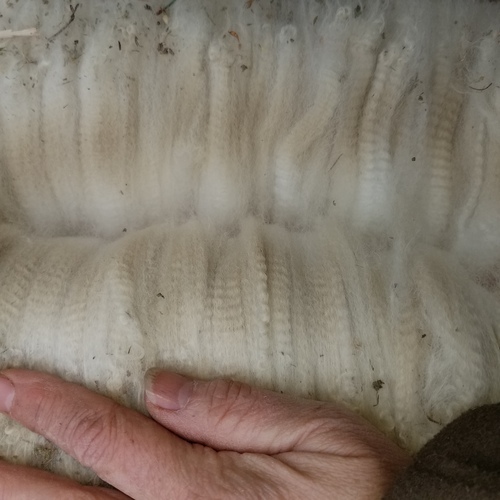 Just look at her fleece shot...it is as soft as it looks with amazing handle! Both her sire and dam holding Grade 1 Royal fleece -- her sire, the Elite Maximus, even doing so until his untimely death in 2016 at the age of 15. Her dam, SA Peruvian Alivia, is doing the same at 7 years old with only 1.9%>30 microns! 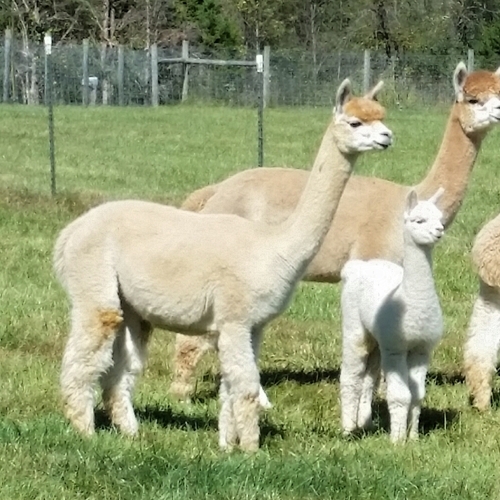 Everything we had hoped for in this beautiful white female cria - she brought home 1st place at her first show. Elite Maxine has the goods - incredibly uniform micro-crimps, consistency across her blanket with extreme fineness, and nice conformation! One would expect nothing else based on her heritage, but her histogram confirms it (see this page -- she has a Spin Fineness of 15.1). We plan to take her right to our white 2017 AOA National Supreme Champion, 11X Champion, 4X Judges Choice, Man in the Moon's Peruvian GANYMEDE, as soon as she's ready. We expect him to add density and give more definition to her crimp. Her dam, SA Peruvian Alivia, is out of the great SA Peruvian Apollo, an impact herdsire with more than 180 registered offspring and hundreds of descendants from there. 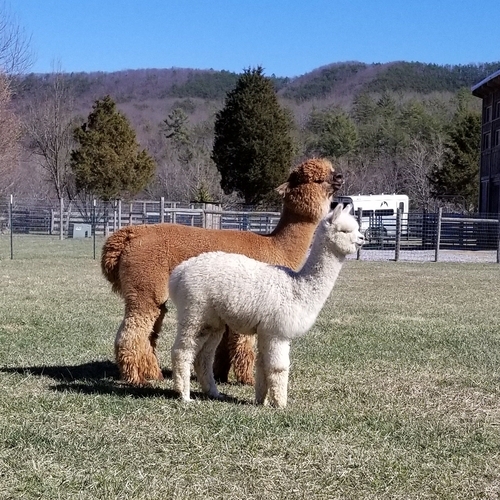 He obviously received and passed on the amazing genetics of his parents, PPPeruvian Royal Fawn 6014 and PPPeruvian Aphrodite 5070, both direct imports that have contributed greatly to the positive progression of the alpaca industry today. Her sire, The Elite Maximus was a multiple Get of Sire champion and champion himself. At 13 years old (2014), The Elite Maximus held a histogram of less than 19 microns! And that fineness was incredibly uniform, with a comfort factor of close to 100%. Wow!! With the recent and unexpected passing of The Elite Maximus, this was one of the last Elite Maximus crias to be born! More about her famous herdsire: The Elite Maximus started his illustrious show career when he was only 8 months old, winning Res. COLOR CHAMPION at the 2002 Columbia Alpaca Breeders Association show. He then went on to win the JUDGE’S CHOICE Award at the Canadian International Fleece Show and the 2006 AWE fleece show. The Local, Regional, National and International awards and ribbons started stacking up from there! The Elite Maximus transitioned from the show ring to herdsire, and those awards were just the beginning of an amazing, award-winning dynasty. Interested? 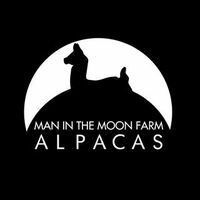 Come see her at the farm or at her next show. 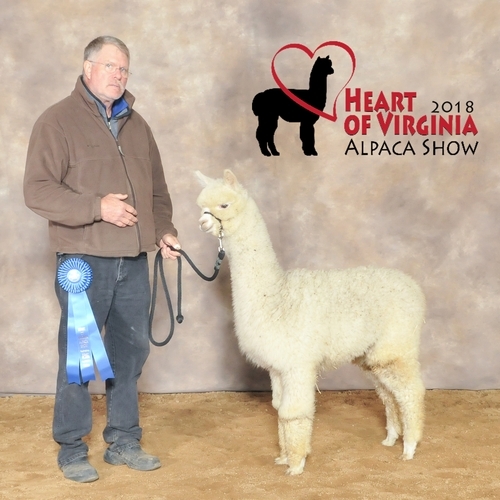 1st Place 2019 Heart of Virginia White Female Bred & Owned - Judge Kevin O'Leary who said that this female will be capable of producing champions!